Lowering rate is an approximate of 30 mm. Exact front and rear rates for each car are in the product details text. 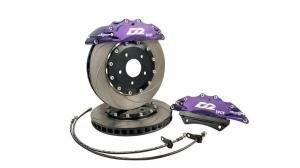 The kit offers more damping force and control in corners, and accurate steering. B12 Pro-Kit is the perfect choice for street performance! 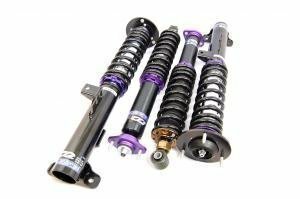 The B12 kit is very close to several factory suspension packages (Msport, S-Line, etc. ), so it's also a very sensible and elegant choice when slamming the car isn't what you're after. 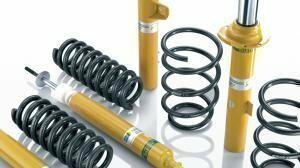 Bilstein B8 inverted monotube shocks. Lowering approx 30mm (see per car). An excellent choice for style and comfort for street. Precision & quality from Germany. No guessin: install, align, drive!. In Finland we can offer installation services with our partners. 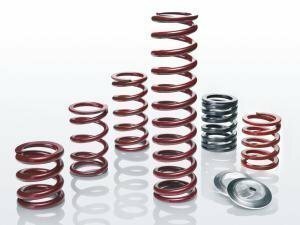 Lowering spring installation is straight forward and an easy task for most garages. Please note that the lowering amounts are counted from the factory value, and accessories like air conditioning as well as how much fuel the car has vary the actual amount by a few mm. 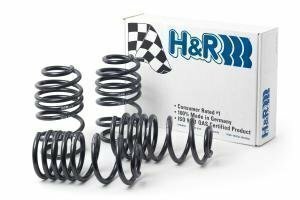 Suspension kits are pretty easy to install by your self as well. In addition to basic garage tools you will need a spring compressor (clamp to compress the springs). If it's your first time, you should ask a buddy with experience to help you out. It is usually a good idea to replace some basic parts like top mount bearings or endlinks at the same time. Eibach B12 kits have a tuv-approval and are road legal in Finland and most other countries. In Finland, as wheel alignment document is also needed. Eibach tuv certificates are available free of charge from the Eibach website. 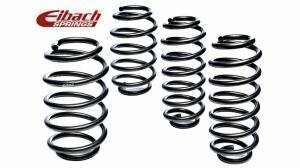 All Eibach B12 suspension kits are available with express delivery in 3 to 5 days to stock in case they are not in stock. 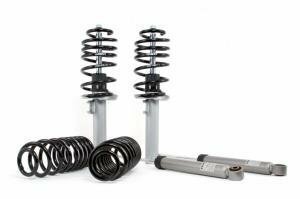 For more drop, check out the B12 Sportline kits.Eibach springs are also available separately.